Dr. Rafia Syed is a California licensed dentist and has been serving the community of Santa Clara, CA since 1988. She obtained her Dental Degree (DDS), with Honors in 1975 from the University of Sind, an accredited educational institute located in Jamshoro, Pakistan. She continuously strives to keep herself current in new treatments available in dentistry today, by frequently attending courses at UCSF (University of California, San Francisco). As a female dentist, she makes every effort to provide gentle loving care to all members of the patient’s family. 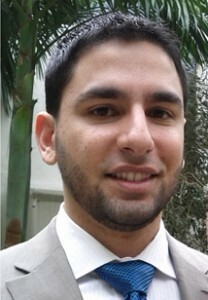 Dr. Farhan Syed was born and raised in the South Bay. He obtained his Bachelors degree in Biological and Agricultural Engineering from the University of California, Davis. He went on to obtain is Doctorate in Dental Medicine (D.M.D.) from the University of Pittsburgh, in Pennsylvania. 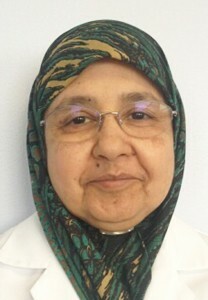 After completing his dental education, he went on to join his Mother, Dr. Rafia Syed, at Syed Dental. He is an active member of the Santa Clara Dental Society, serving on the society’s website committee. Dr. Farhan Syed keeps himself updated on latest technologies and treatments by frequenting dental education courses throughout the year. He takes pride in providing a comprehensive, caring, and individualized approach to treatment that will meet your specific needs.